There's nothing worse than having gotten a brand new phone only to find that you can't transfer contacts from the old Nokia to your new Android phone. Without contacts, you can't make phone calls or send text messages at all. Actually, you don't need to bother at all. Though manufacturers for different phones never offer any option to transfer content from one platform to another, there are still many workarounds. This article will introduce you one of the best tool - Wondershare MobileTrans, to transfer photos, text messages, music, videos, contacts, and more from Nokia to Android phones. Transfer data from Nokia to Android, easily and efficiently! Fully support Nokia Symbian 40 & 60, and Android 2.1 and above. Manage contacts, apps, SMS, media after transferring to your Android device. As I've mentioned above that Wondershare MobileTrans is able to transfer contacts, messages, videos, photos, and audio files from Nokia to Android phones and tablets. The steps to copy these files from Nokia to Android are the same. Below I will specifically to tell how to transfer contacts from Nokia to Android devices. 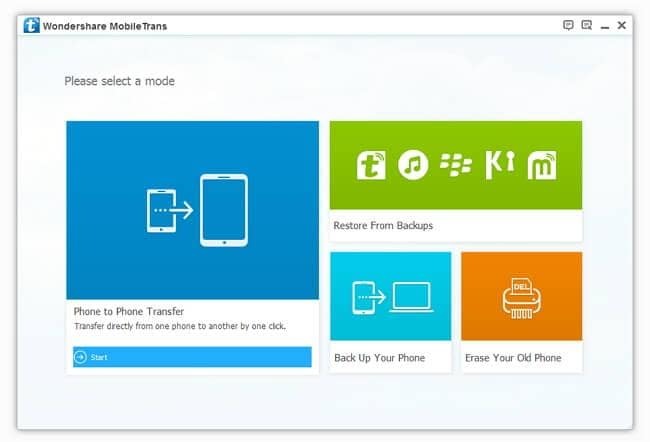 If you don't need to copy all content from Nokia to Android, to take the security of your data into consideration, please use the backup feature for MobileTrans to backup data on your Nokia device. First of all, download and install Wondershare MobileTrans on your computer. Then you'll see the primary window below.Connect your Nokia and the iPhone to the computer with USB cables, and make sure that they can be successfully detected by your computer. Only this works, does the program recognize your devices. Then go to the next step. When your devices are connected well, click "Phone to Phone Transfer" on the primary window. Then you're just one click away to transfer your Nokia to the iPhone. Choose the data on your Nokia that you want to trasnfer to your iPhone by checking the box in front of the file types. And make sure that your Nokia phone is detected as the source on the program and the iPhone is the destination. You can use the "Flip" button to switch their places. Once everything is ready, click "Start Copy" under the file type and wait until the process is complete. After that, you can see all transferred data from the Nokia on your iPhone. Just follow the guide in this article. 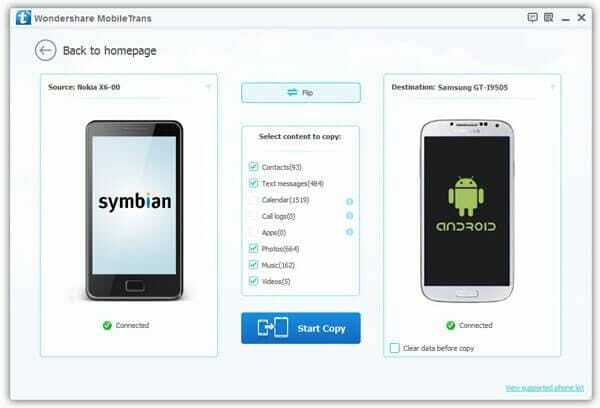 This article tells you exactly how to transfer music, video, contacts, SMS and photos from Nokia (Symbian) phone to Android phone with a phone transfer tool. Please follow the tutorial in the article. You can download Wondershare MobileGo for Android to have a try. 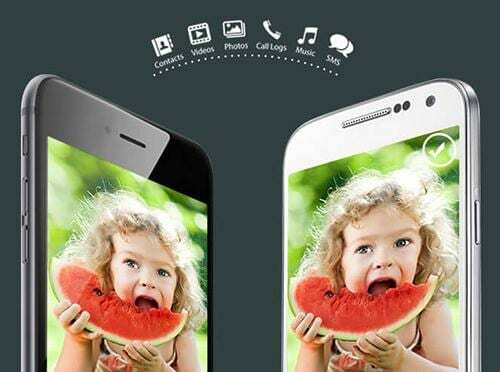 If it detects your gione elife E6 successfully, you can also use the Wondershare MobileTrans to transfer contacts. Or, upload your Samsung contacts to the Google account and then import to the Contact app on your gione elife E6. i have samsung primo and now i buy gione elife E6 and want's to transfer contacts from samsung to gione how can i do so??? Sorry, ana, Calendar can't be transferred for the time being. how about transferring the calendar entries? can it be transferred? Damn Ankit, I owe you a beer my friend! All the best and thank you!